Blog Home›Bidets: Is It Time For A Revival? Once a forgotten element of the bathroom that was relegated to relic status, the bidet is now making a strong comeback. We take a look at exactly why this is. Posted By Rob, 19th Apr 2016. 3 Minute Read. ● Why are bidets becoming fashionable again? ● What bidet styles are available? 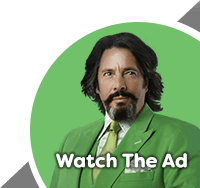 ● So is a bidet right for me? You see, bidets are enjoying something of a renaissance at the moment, as we have spotted a growing trend for their inclusion into not only classic Victorian and Edwardian inspired bathrooms, but also modern builds. Why should you be interested? Well, read on and discover just why bidets are so in vogue right now. Why are bidets becoming fashionable again? As with all aspects of home improvement, trends frequently come and go, with fresh, new designs constantly emerging to take the place of the old ones (a good thing too, or we’d all still be stuck with those nasty avocado suites!). But every now and again a taste begins to develop for products which capture the style of yesteryear, offering a nostalgic feel to things. This concept of revival is currently being found in bathrooms across the country, as an old bathroom favourite starts to make a return. Bidets have been around in some shape or form for several hundred years now but have recently become one of the must have fittings, as we’re seeing more examples of homes which have one integrated into the bathroom. There are several reasons for their comeback. Maybe it’s because we are becoming more hygiene conscious? But we think there’s more to it than that. One suggestion is that they are very affordable nowadays (they were originally found only in the bathrooms of royalty and the very wealthy), meaning including one doesn’t have to break the bank. There is also an abundance of styles available, ranging from classically inspired examples to very modern designs. This means that provided you have sufficient space available, there is a bidet for every bathroom. Bidets also give off an air of luxury, and this makes bathrooms look more sophisticated as a result. Many are also created to be harmonised with your suite for a coordinated feel. With more extravagant builds becoming quite commonplace, it’s easy to see why adding a bidet may benefit these environments as they will help to make the setting appear more bespoke. A further reason for their popularity is the development of modern technology. There has been a sharp rise in the number of attachable bidets available in recent years. These clever items simply replace the existing toilet seat and allow for bidet settings to be incorporated into the actual design of the pan, making it a kind of hybrid item. These bidets are ideal for those who may have limited mobility as they are simple to use and can include some neat functions such as a heated seat, massage options, deodorisers, and air dryers for a more beneficial experience. With options like that available, it’s no wonder bidets are in again; just think, no more freezing cold loo seat to deal with when the weather dips! What bidet styles are available? 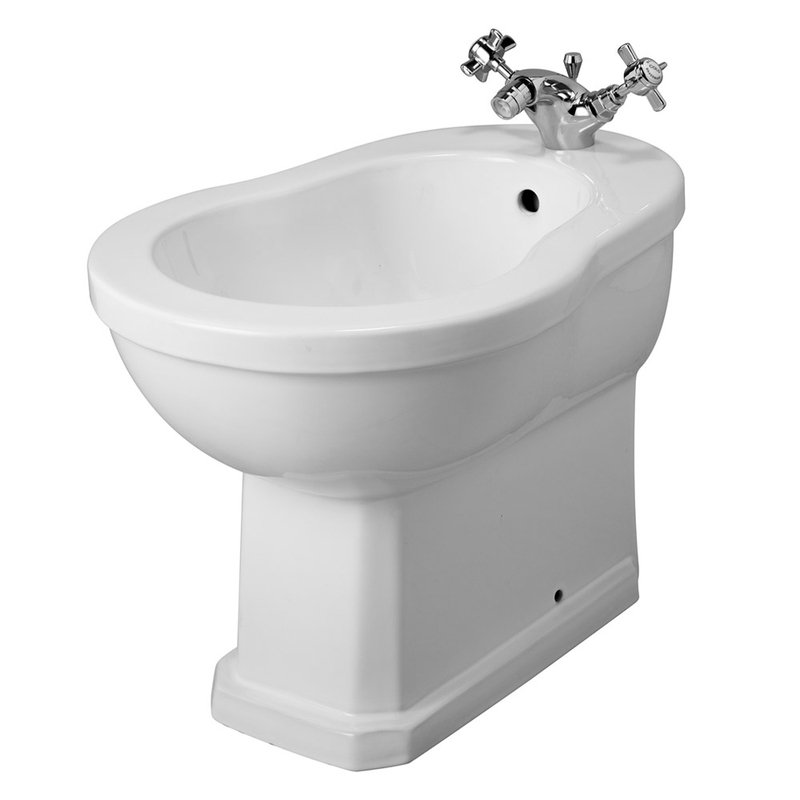 Depending on your preference, there are many different bidet designs available that will suit all bathrooms. For traditional settings, there are ornate examples on offer that will provide a fitting complement to period bathrooms, matching the style of classically influenced suites perfectly. 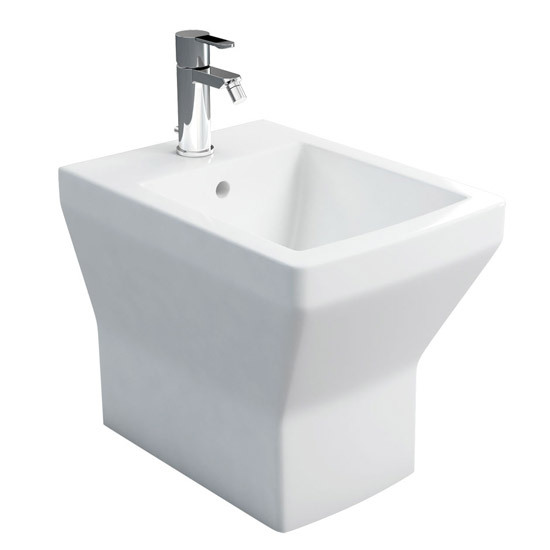 Some traditional bidets also come as part of back to wall units for a more tailored finish. Customising these items further with a crosshead handle mixer tap will really complete the overall aesthetic, giving the bathroom a regal look. 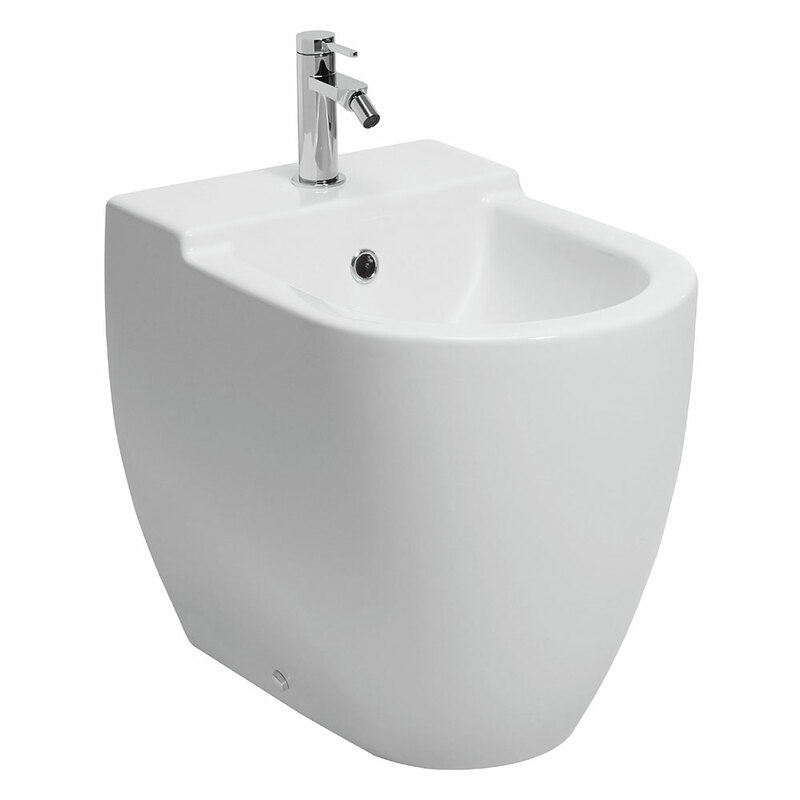 With modern examples, there are a wide range of styles out there, including wall hung bidets and back to wall bidets. Many feature sleek lines, and often come in squared designs to reflect the current popularity for suites which display this look. Adding a smooth, simplistically crafted mixer will give these products a more contemporary edge too. So is a bidet right for me? Generally speaking a bidet is a good idea for anyone, provided you have the room for installation, as they are very hygienic and will add a smart visual enhancement to any bathroom. If you’re considering getting one, it’s best to do some browsing and find out exactly which ones will be most suitable. So, is the reign of toilet paper finally coming to an end? Will the bidet return to claim its place next to the throne? Only time will tell, but a bidet is definitely something you should take into consideration when renovating your bathroom. A vanity unit adds a stylish, functional element to your bathroom. In this DIY guide we explain how easy they can be to install yourself.